Drug-induced liver injuries are classified in a number of ways according to how they impact the liver’s physiology. This includes looking at the liver cells and determining whether enzyme abnormalities have occurred. Some drug-induced injuries are also expected and do not necessarily disrupt liver function in any way. Dr. Yamini can perform a comprehensive examination to determine what/if any damage to the liver has occurred as the result of the use or misuse of drugs. Treatment of the liver due to drug-induced injury will depend on the functions affected and severity of damage. When you have a consultation for gastroenterology conditions with Dr. Yamini, he will discuss appropriate treatment plans with you. Treatments may range from the cessation of the responsible drug to the need for a liver transplant in extreme cases of drug-induced liver damage. It is important to take care of your liver when you are taking drugs that may result in damage. Symptoms that may indicate liver damage include jaundice, abdominal pain, unusual fatigue, pain and swelling around the liver. These symptoms should not be ignored when you are on drugs that have the potential to cause drug-induced liver injuries. While most injuries will only cause mild symptoms, it is still recommended that you seek advice from Dr. Yamini at his California offices, either in Santa Monica or Beverly Hills. 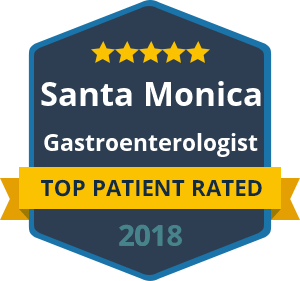 If you would like a re-evaluation of a gastroenterological condition and any associated treatments, Dr. Yamini is available for a one-on-one consultation. It is important to ensure that you are receiving the most appropriate treatment, which may include changing the drugs you are on to help protect your liver from damage. Contact the offices of Dr. David Yamini today if you are presenting with symptoms of drug-induced liver injury to arrange a consultation.